Inspire Support Centre Based Activities and Groups promote socialisation while offering both worker facilitated and self-directed capacity building activities. Participants are welcome to undertake activities independently within the space, participate in facilitated workshops or a combination of both. We have the following spaces available for participant use – Art and Craft Room, Computer Room, TV & Movies Room, Library & Quiet Room, Board and Electronic Games, Activities Room, Board & Electronic game area, Kitchen and social meals area. All activities are participant directed and only limited to participant’s imaginations. Being flexible and able to meet participant’s individual needs is important to us so please contact us if you require something a little different or require assistance with transport. Click here to access our current Centre Based Group Activities Calendar. 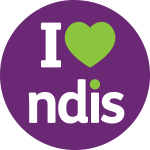 Centre Based Activities are funded from Core Supports in a participant’s approved NDIS Plan.